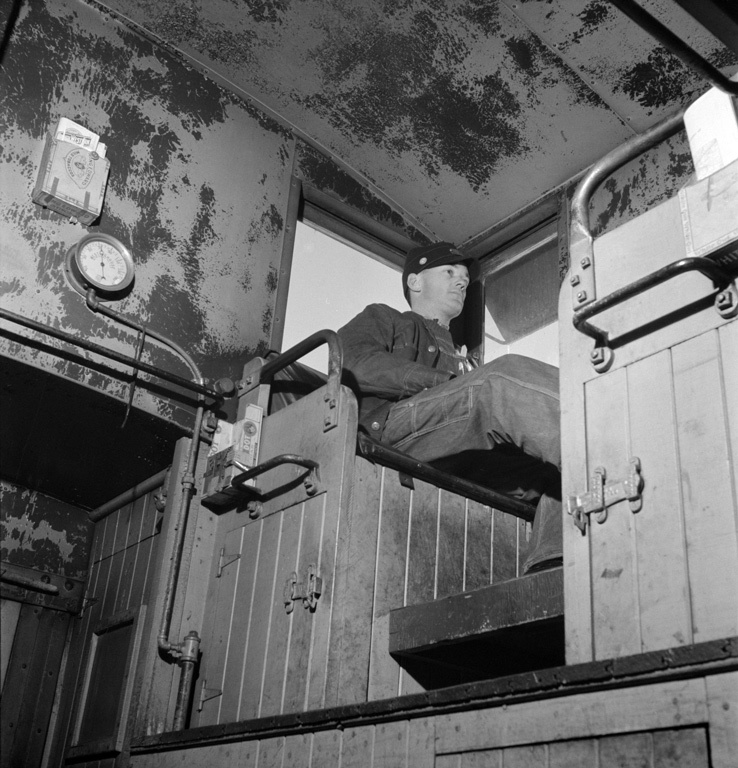 During his visit on Conductor Burton’s caboose in March of 1943, Jack Delano photographed the rear brakeman, Walter V. Dew, watching the train from the cupola. We’re on the Atchison, Topeka, and Santa Fe Railroad between Chicago and Chillicothe, Illinois. The Westinghouse train line air pressure gauge is reading 74 pounds. Note the modified King Edward cigar box on the cupola bulkhead above the gauge, containing what appears to be C&NW timetables. A couple more cigar boxes aside the cupola seats have been provided to hold various other paperwork.